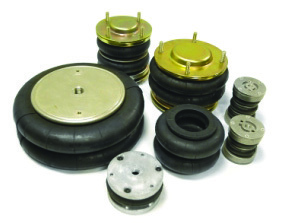 Air Springs are constructed by a durable & precisely engineered natural rubber which contains a column of air to provide Suspension, Vibration Isolation & Actuation. Air Springs also known as air bellow, are common in the vehicle’s suspension, but also widely used to isolate vibration in the machinery & as a linear or angular actuators. 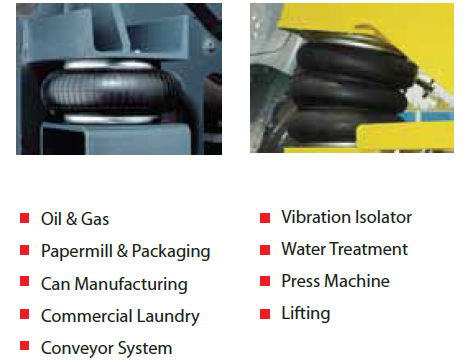 We are stocking a variety air spring models & brands to meet your actuation & isolation needs. The Single, Double & Triple Convoluted, Rolling Lobe & Reversible Sleeve types are available in a wide range of sizes.